All incl. 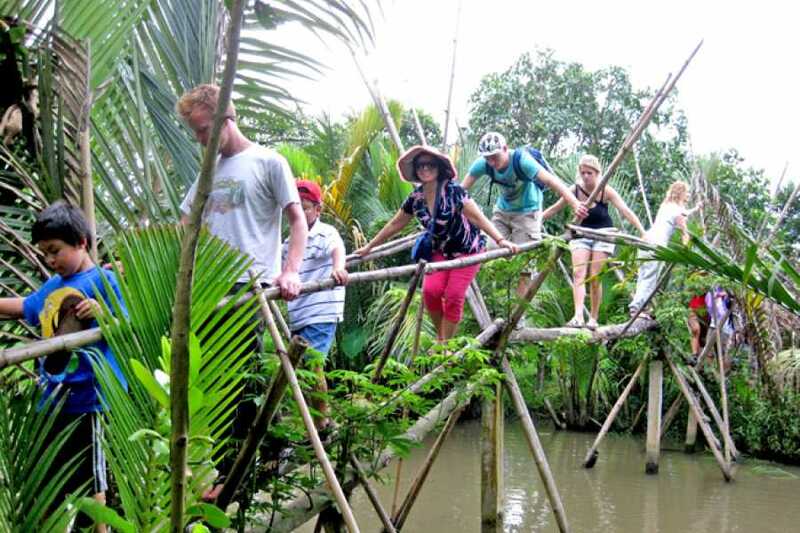 Private Transportation + Food + Fees + Private Guide + Bike + Boat Trip or Rowing Boat. Friends Travel Vietnam - selected the best tours in non touristic area also beautiful scenery of Mekong delta! 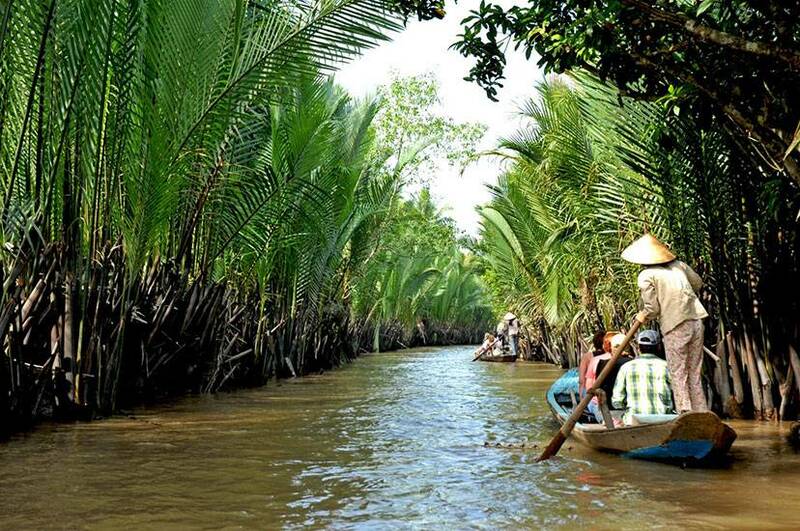 Get on our air-conditioned private transfer , join us in our ride in the direction from Ho Chi Minh to Ben Tre. Only a 20 min ferry-ride away from bustling My Tho, this enough to give the town a genuine backwater feeling. 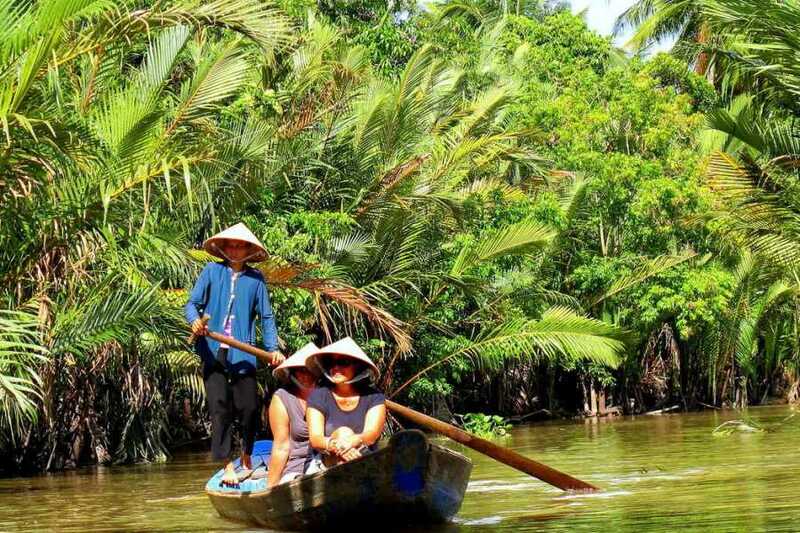 We offer daily departures from Ho Chi Minh with private tour guide. 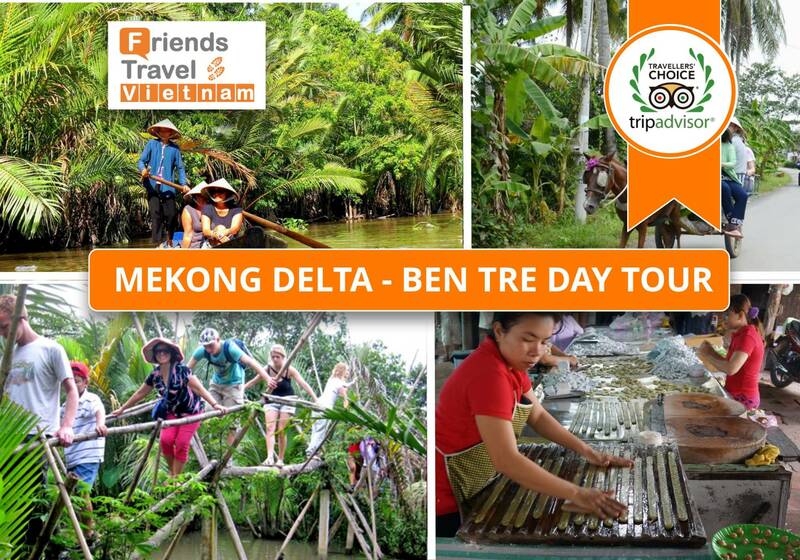 Contact us to join this Mekong Delta experience. 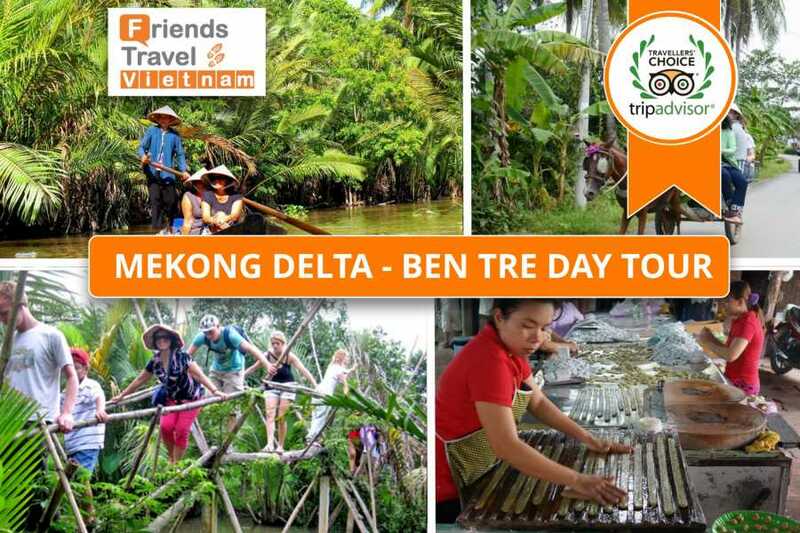 Are you ready for the "Mekong Delta - Ben Tre Day Tour "
We offer a ‘highlights’ day trip tour to Ben Tre Provine - Mekong Delta , which gets you back to Ho Chi Minh in just one day. 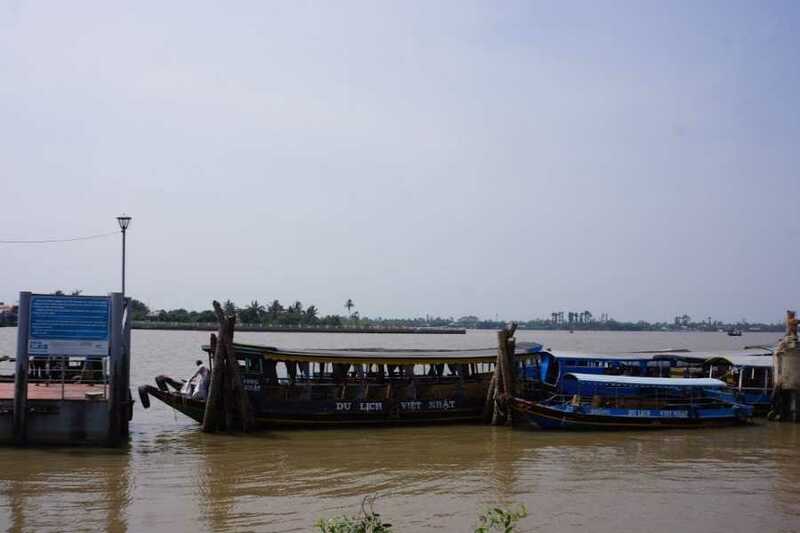 Doing a boat trips - the nicest way to negotiate the network of channels. 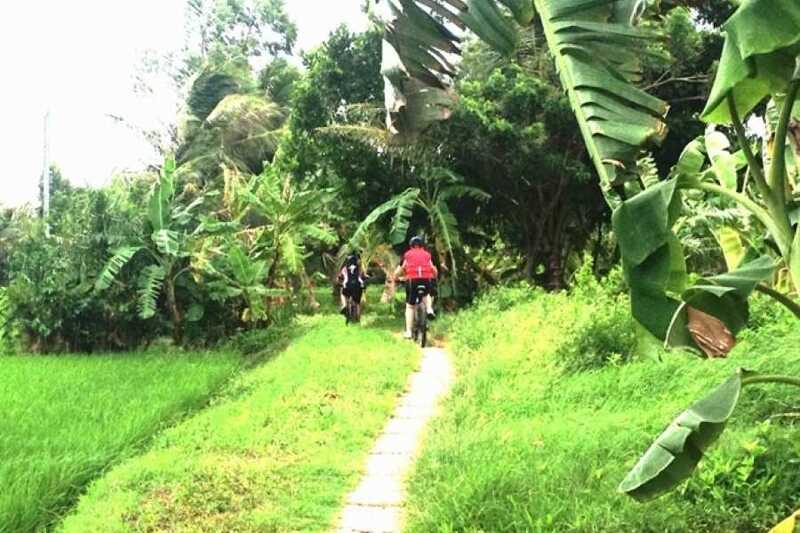 Follow some of the small trails along the channels, crossing sidearms on very basic bridges and walking by fruit and coconut orchards. 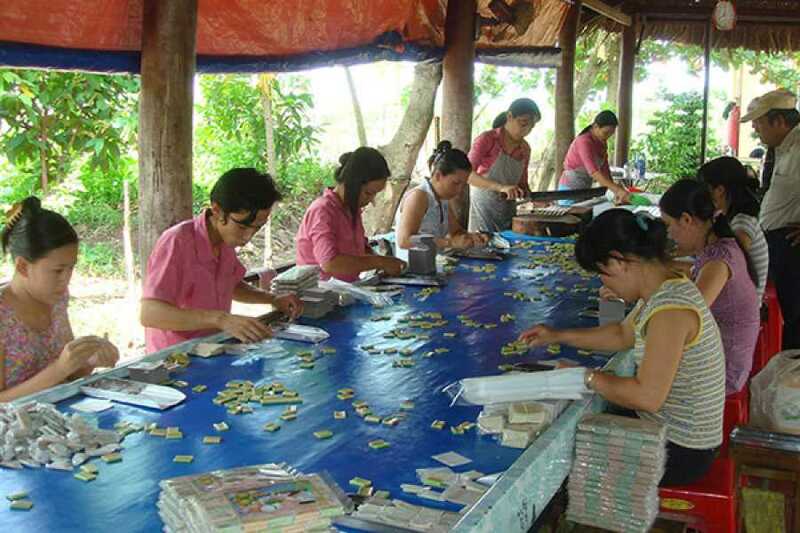 Visiting coconut candy factory where you see the women making the handmade candy. Enjoy ! Picking up at Ho Chi Minh Hotel, driving to Ben Tre (2hours and a half). 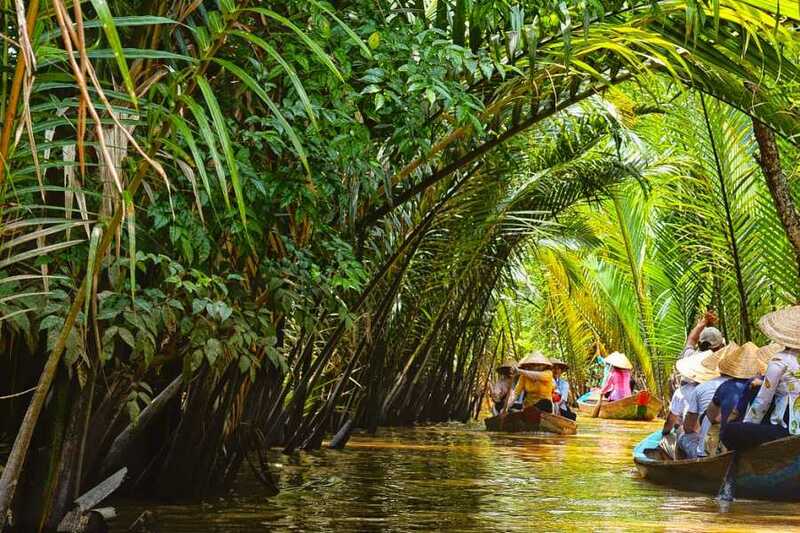 Take a motor boat to Ben Tre River - one of tributaries of Mekong River, sight-seeing lively activities along the river as catching fish, water tranferring boat, make bricks in handy. 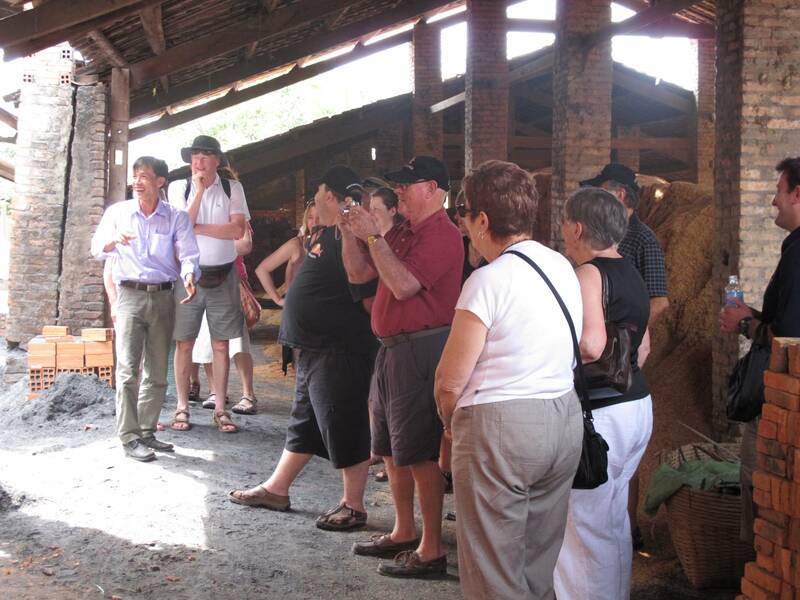 Visit coconut processing workshop where have a chacne to learn the coconut candies making process. 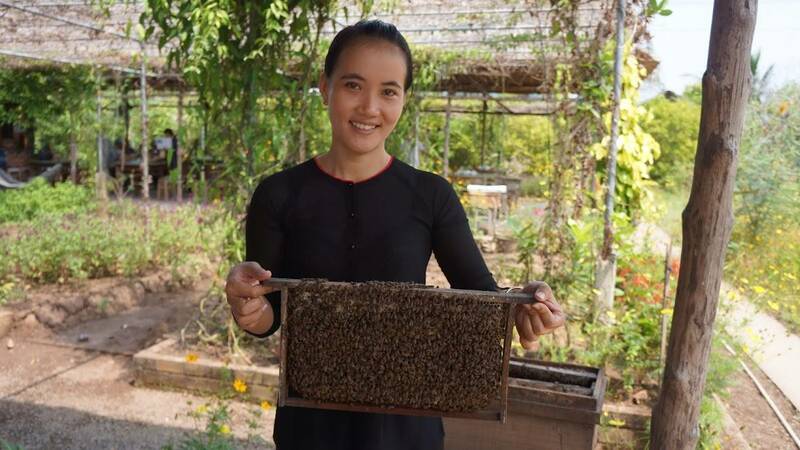 Try some local sweets, fruits and honey tea. Carry on the boat trip to go to village. 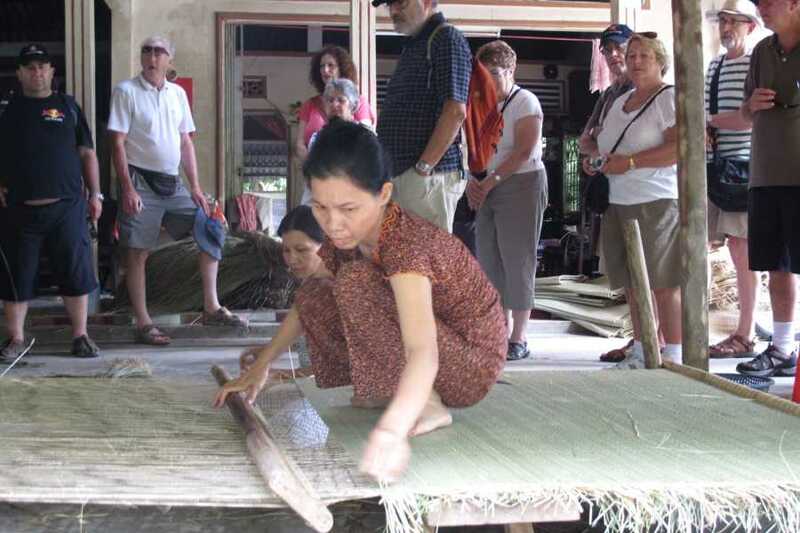 Take a walk to family workshop making sleep mats. 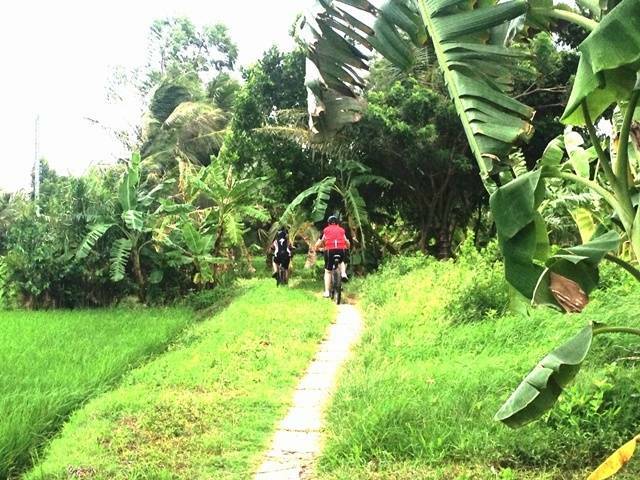 Afterward, traveling by motobike or biking through some tranquil Villages where vegetable gardens to be able to touch on real life, find out about tropical culture from Peasants. Lunch at local restaurant. 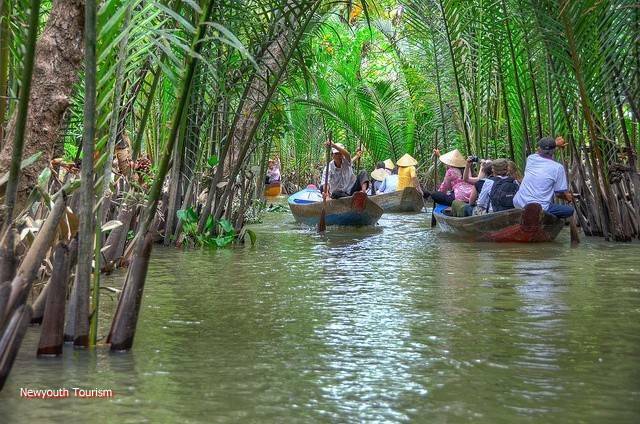 Afternoon, take a rowing boat along water palm then motor boat back to pier to driving back to the hotel in Ho Chi Minh. 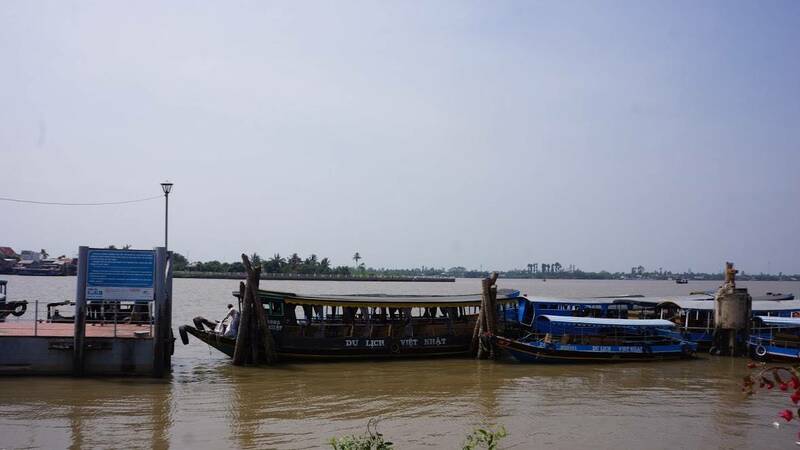 Pick up at the hotel, driving to Ben Tre (2h20’). 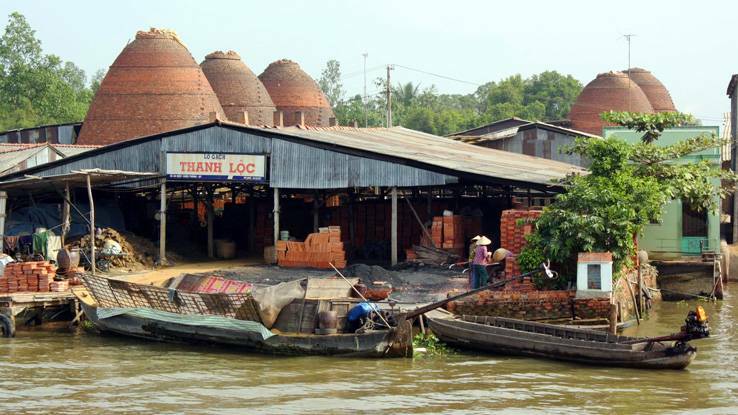 At Hung Vuong Pier (Ben Tre city), take a motor boat on Ben Tre River – one of tributaries of Mekong River, sight-seeing lively activities along river as locals catching fish, water transferring boat…..Stop at brickwork to see how to make bricks in handy traditional style by printing and baking. 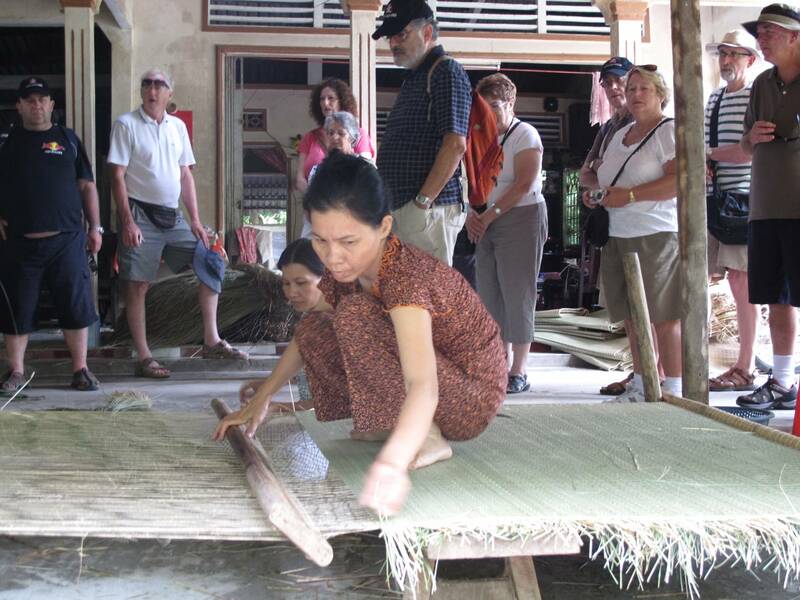 Visit one of the plenty of coconut processing workshops where people pilling coconut by hand ( husking coconut), coconut candies are made and have a chance to learn the coconut candies making process located along canal (Ms Lan coconut candy workshop). 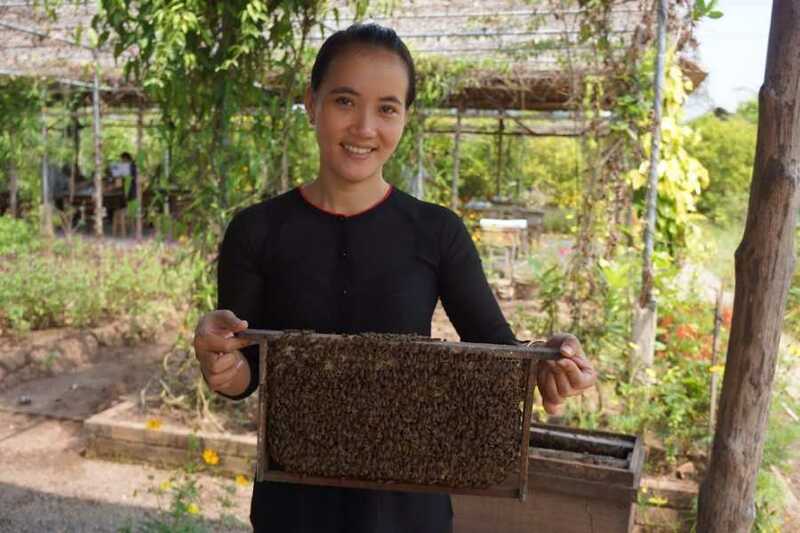 Try some local sweets, fruits and honey tea. 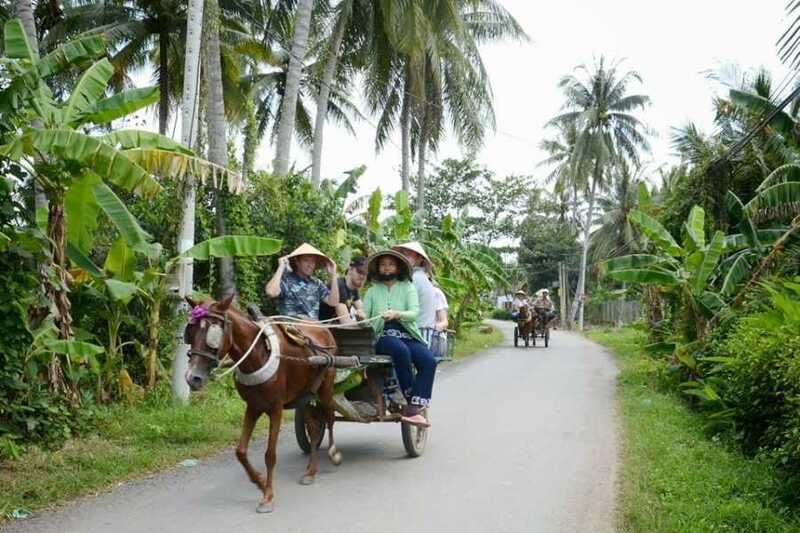 The first one is being on a cart powered by a motorbike. 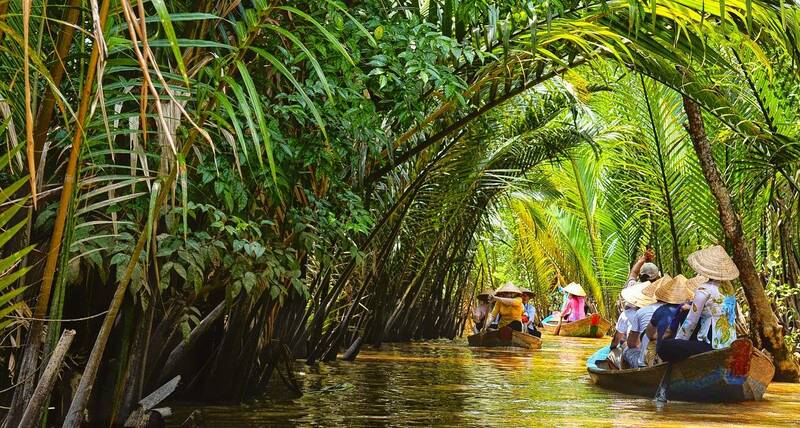 Afternoon, take a rowing-boat along water palm creek and motor boat back to Hung Vuong Pier. Driving back to the hotel. End of service. 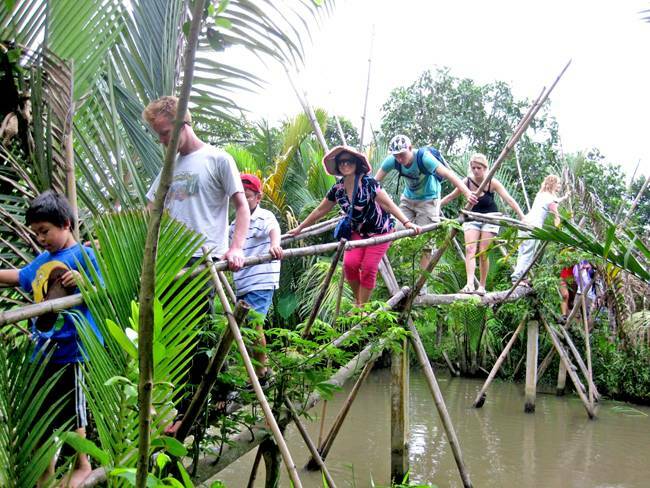 - Fresh coconut,lunch, tropical fruit platte, honey tea, local guide. - Boat trips and bike or motorcart, rowing boat. 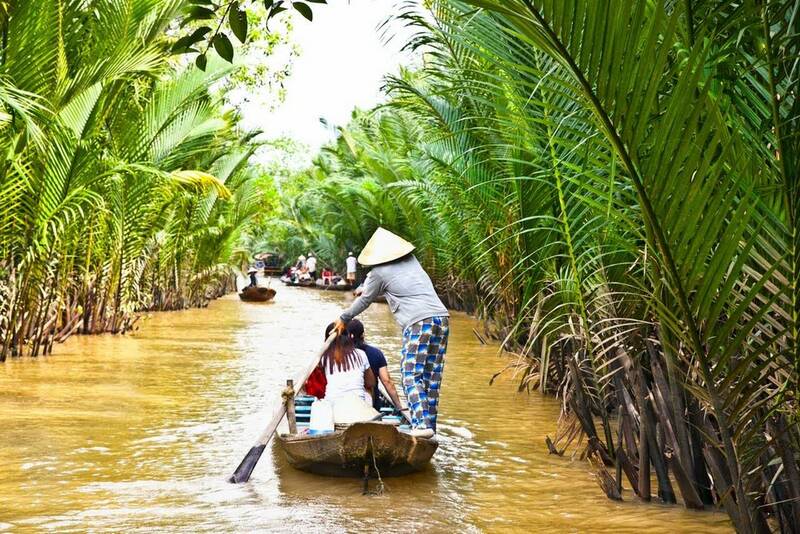 Discover Mekong Delta in unique & non - touristy style. 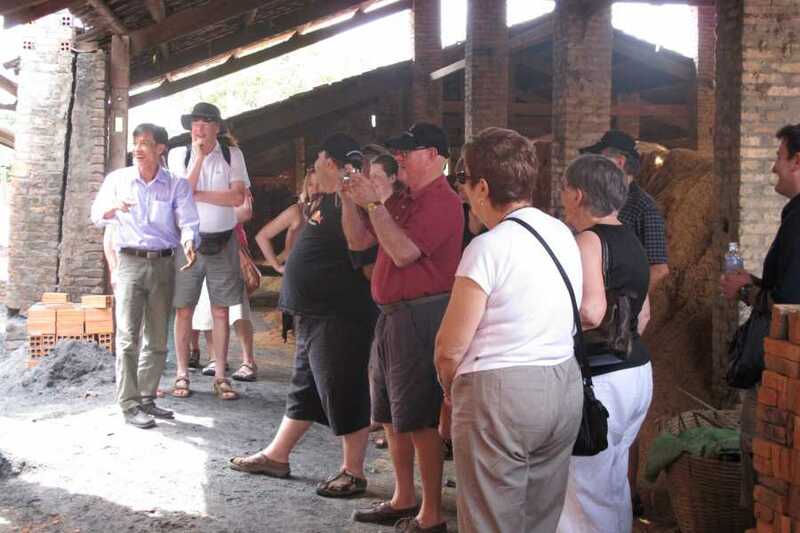 Get on private transportation with lovely, friendly and knowledgeable local tour guide. 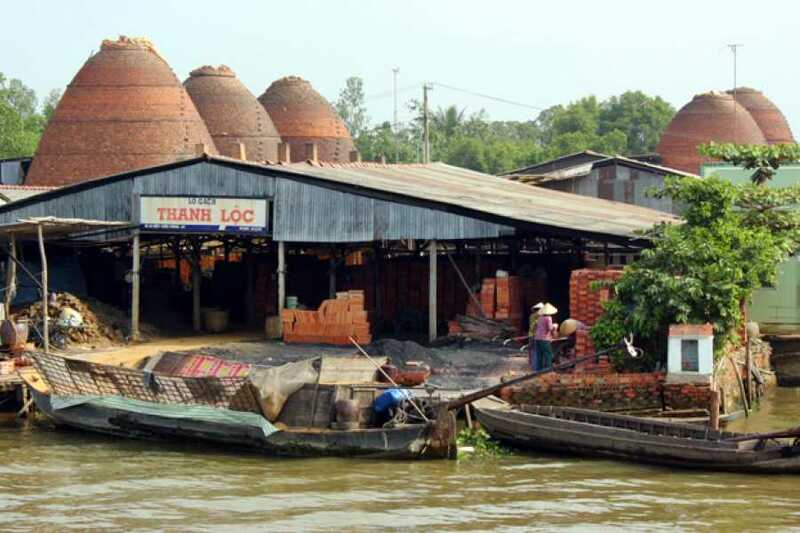 Visiting the interesting coconut candy factory, a brick-making factory.